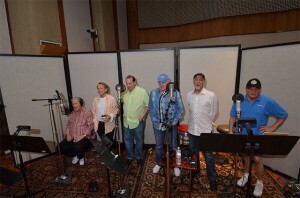 (L-R) Al Jardine, David Marks, Brian Wilson, Mike Love, Bruce Johnston. Photo by David Goggin. 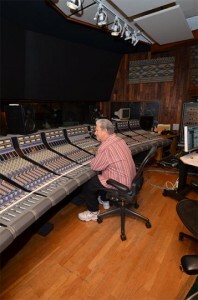 The producer sits at the console in Studio A control room. Photo by David Goggin. 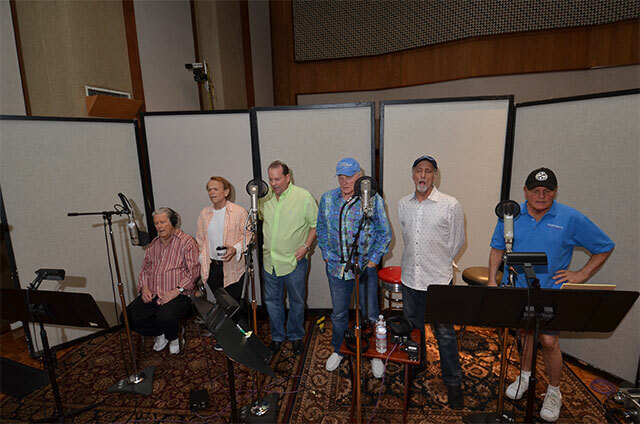 For millions of Beach Boys fans spanning multiple generations, the Beach Boys 50th Anniversary Tour and new album, “That’s Why God Made The Radio,” represents a dream come true. Beach Boys Brian Wilson, Mike Love, Al Jardine, Bruce Johnston, David Marks, and Jeffrey Foskett (dubbed Vice Principal by the group) recently completed recording sessions at Los Angeles’ famed Ocean Way Recording for the band’s 29th studio album, the first in decades to feature all of the band’s surviving original members. During the official video I make a split-second cameo appearance here. 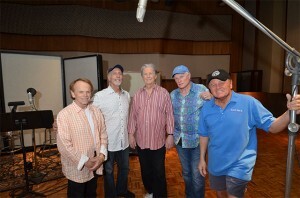 Pictured in Ocean Way’s historic Studio A are Beach Boys (L-R) Brian Wilson, Al Jardine, “Vice Principal” Jeffrey Foskett, Mike Love, David Marks, and Bruce Johnston. Photo by David Goggin. 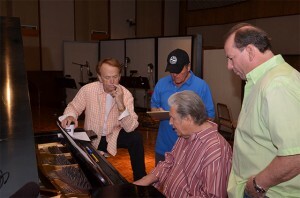 Brian works out a part at the piano with (L-R) Al, Bruce, and Jeffrey. Photo by David Goggin. 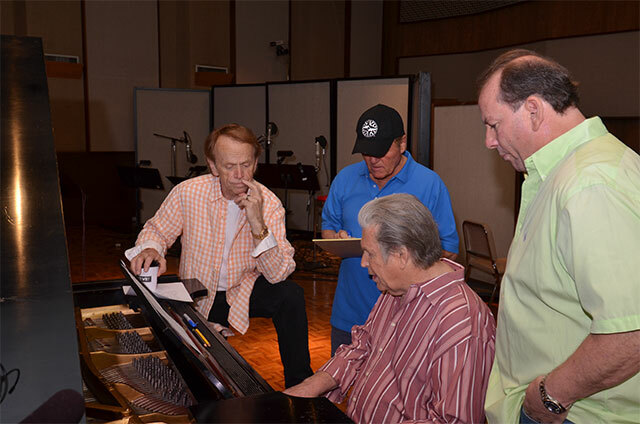 It’s really a beautiful Beach Boys tour de force and the first album in decades that I’ve listened to repeatedly. It’s full of the spirit of Summer, but all things must come to an end. Enjoy it while you can!